I have lived in Finchampstead for 12 years and am married with 2 children. I work for a company which imports and retails stone flooring and fireplaces. 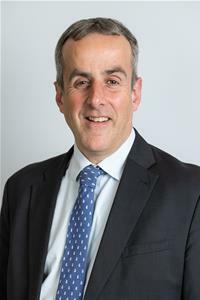 I am a post local school governor and also a previous chairman of Bracknell Conservative Association which has given me a good understanding of local and national politics. I also run a boys football team at Finchampstead Football Club.